Ever since Kendra Scott decided to open up shop in Savannah I have been a huge enthusiast. Actually, I'd say a majority of the jewelry you see me wearing is KS. With each new collection release I get hooked in every time. The 2018 summer collection launched last week and I could not love it more. The collection is super colorful, has fun textures and is so versatile! 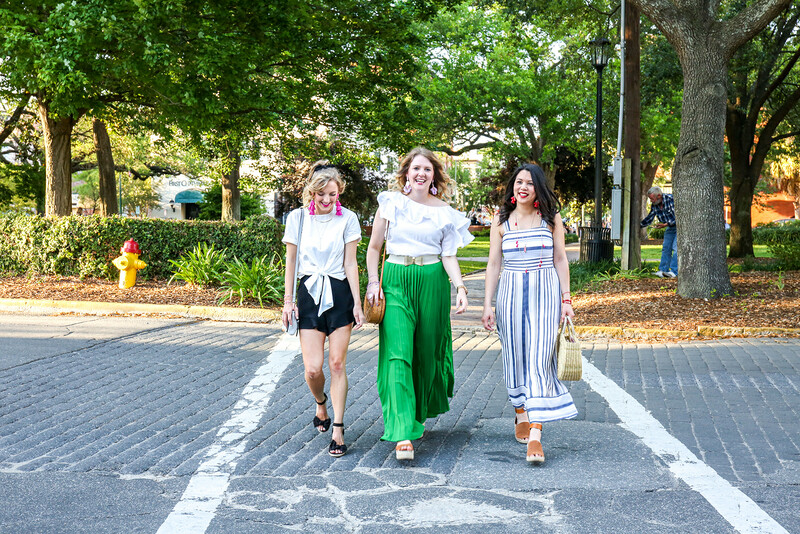 The day of the launch I got together with a few of my favorite ladies to style our favorite pieces! 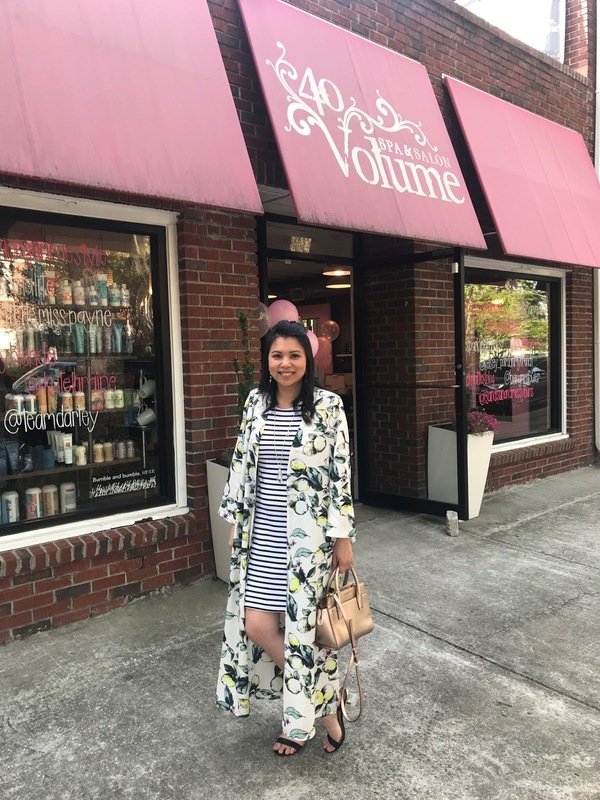 Last Friday I was honored to be invited to an event for bloggers hosted by 40 Volume Salon & Spa. It was a real treat since I don't get to break away as often to get pampered. An evening to hang out with friends and meet some new ones was a perfect way to spend a Friday! The weather was perfect as the event was on the rooftop of the salon. So many awesome local Savannah businesses sponsored the event and it could not have turned out better. We enjoyed mini manicures, hair styling, make-up tutorials, psychic readings and canvas art! The food was yummy, we sipped on signature cocktails in our own customized glasses and even left with sweets and treats! The details were on point and everyone had such a fun time! I think we should get together like that once a month! Such a great night! A solo trip to Target. It sounds glorious doesn't it? What is even better than a solo trip to Target is a Mom’s Day Out at our favorite store! 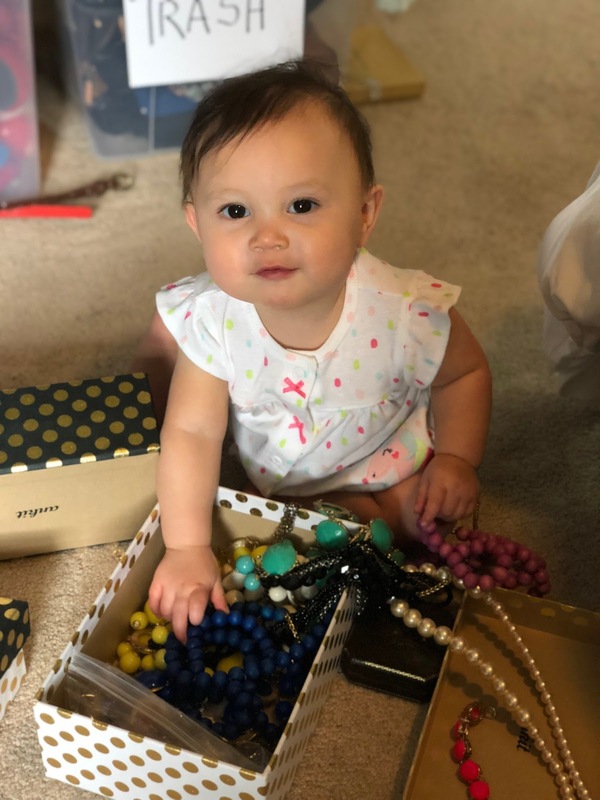 I can think of few better things than enjoying our Starbucks and leisurely strolling the aisles in our red carts and filling them with things we know we don’t need all without dealing with tantrum negotiations and husbands wanting to rush us along! 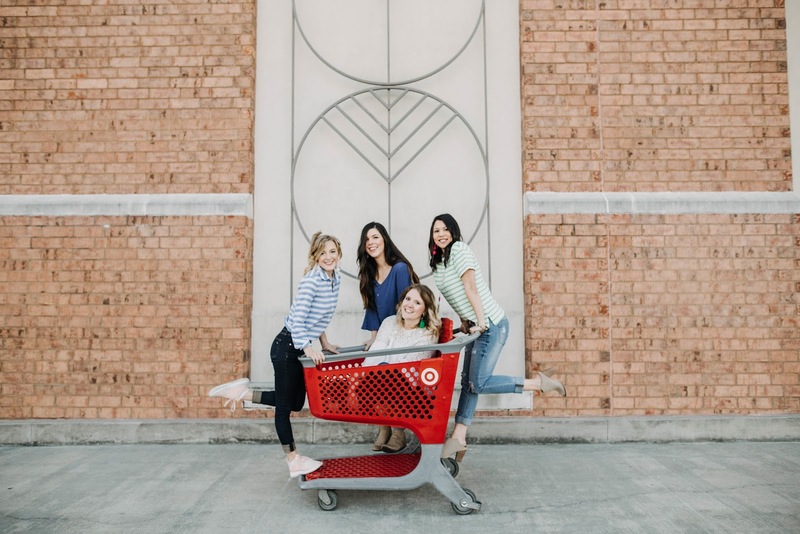 So, a few of us Target-loving mommas gathered on a Sunday morning and enjoyed a Mom’s Day Out! Let me share with you what Moms Day Out at Target looks like! So with spring in full bloom, who has that itch to do some spring cleaning? 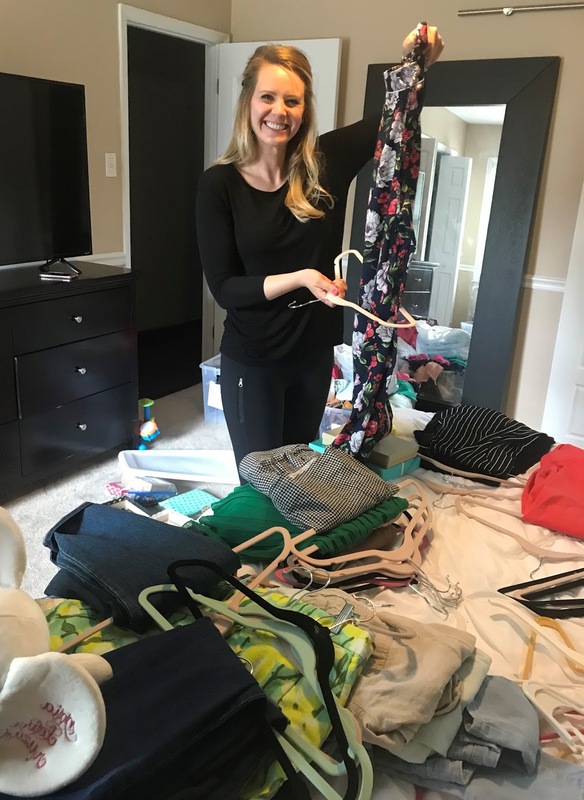 Today, I'm sharing my recent spring cleaning project and my first experience with a professional organizer, Kate from Orchid Organizing. Last summer our family moved into a new house. The house was built in 1984 and we fell in love with its quirky floor plan and because it had so much room for the whole family. Noah has his man cave, the kids have their own play room and it has a nice open lay out. 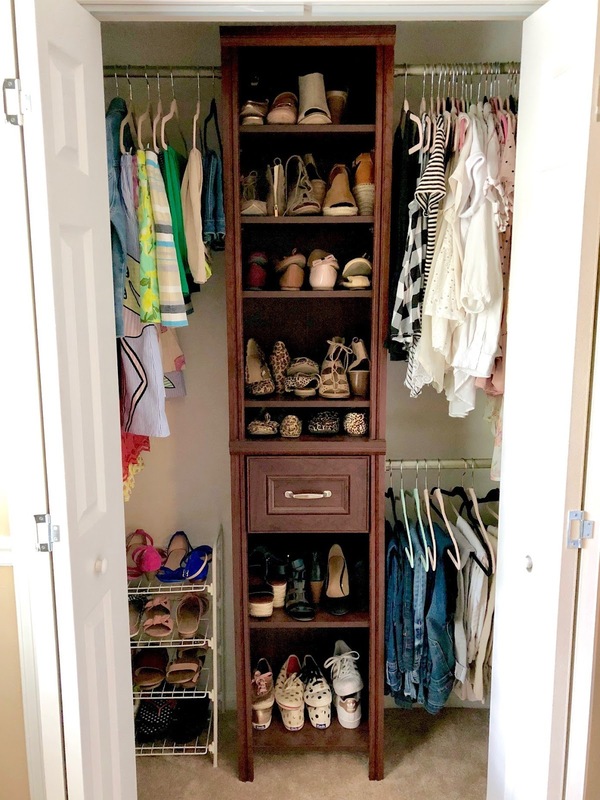 What the house does not have (to which I sacrificed) is my dream closet. 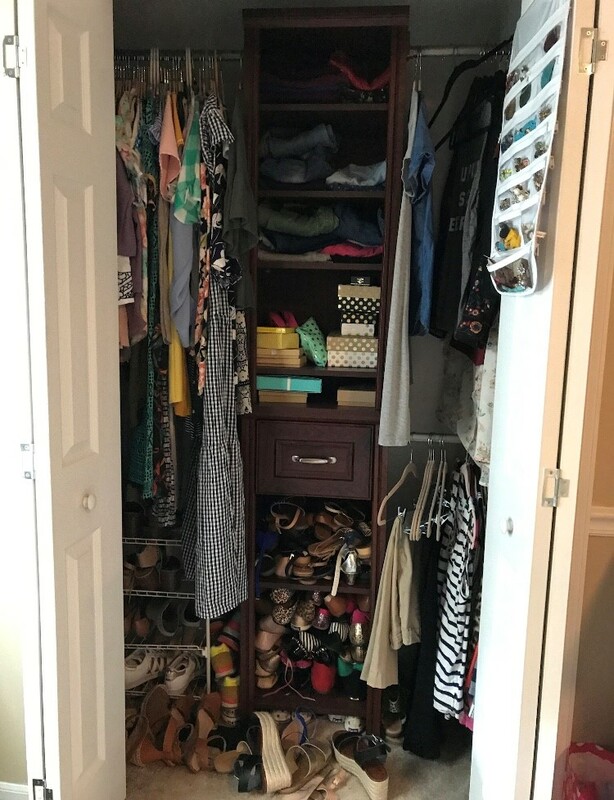 There is no walk-in closet and the space is limited for sure. As you can imagine a small closet is not ideal for someone with a love for fashion. I had clothes and shoes just vomiting out of it every day (i.e. first photo below). There was no rhyme or reason for anything and since moving in a year ago, I haven't had the chance to deal with the mess... Insert Kate Jones. 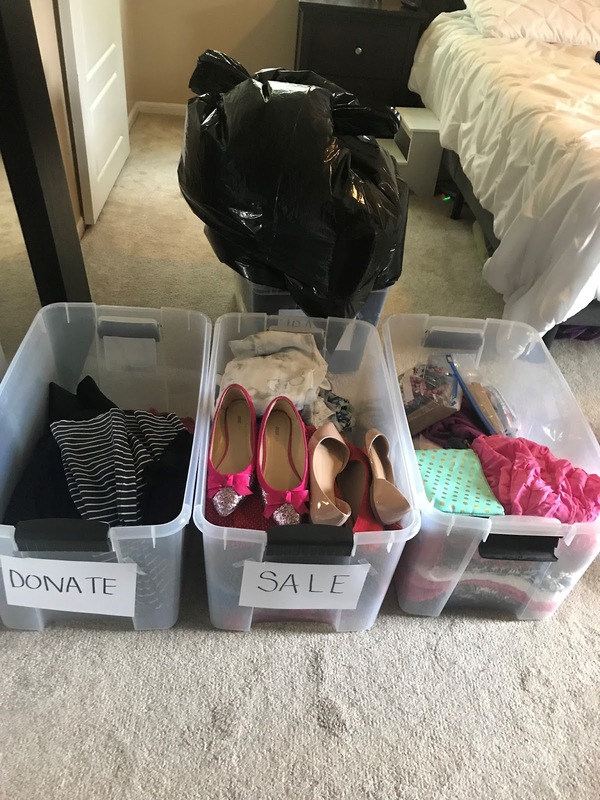 Kate of Orchid Organizing is a professional organizer. She specializes in helping clients clear the clutter and reclaim their space. 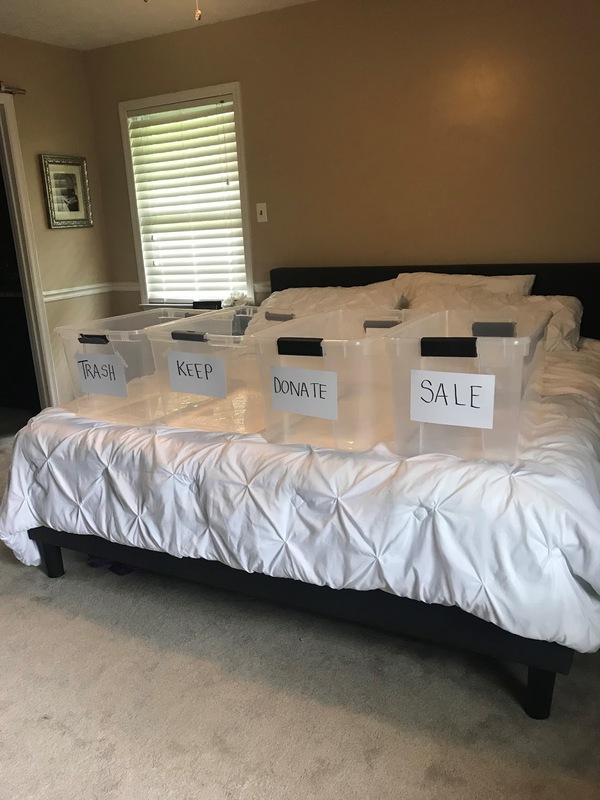 She offers services that is best suited for you- from customized plans for the do-it yourself clients that just want some direction and tips to full in-home organization where Kate will spend the time with you to help do the dirty work! Another great option she offers is virtual organizing! 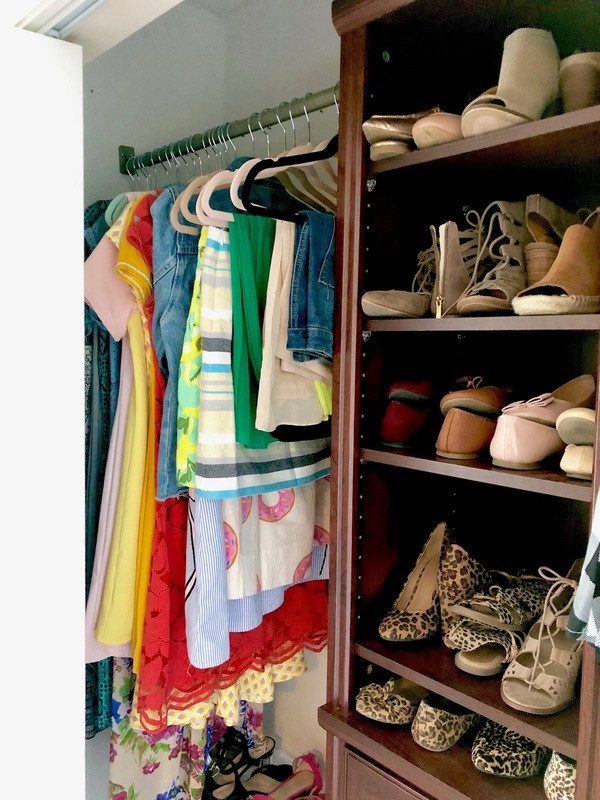 Now, some may wonder... Why do you need to hire a professional organizer? Well, I am a super organized person (usually) and I know I am capable of doing it on my own. However, there are certain things professional organizers are better at. 1) The task of organizing is overwhelming. I have been in the new house for a year and still didn't know where to start. I think this happens to a lot of people. They have all the intentions but because the thought of it is so overwhelming they tend to put it off. 2. Organizing is emotional. You hang on to the same pants because you think you're going to lose the weight. You hang on to that dress because you've gotten so much wear out of it and it makes you feel good. It gets way too hard making those tough decisions on what to keep, what to donate and what to throw away. 3. Clutter accumulates quickly. There is so much out there to purchase! I know being a fashion blogger buying things becomes your work. 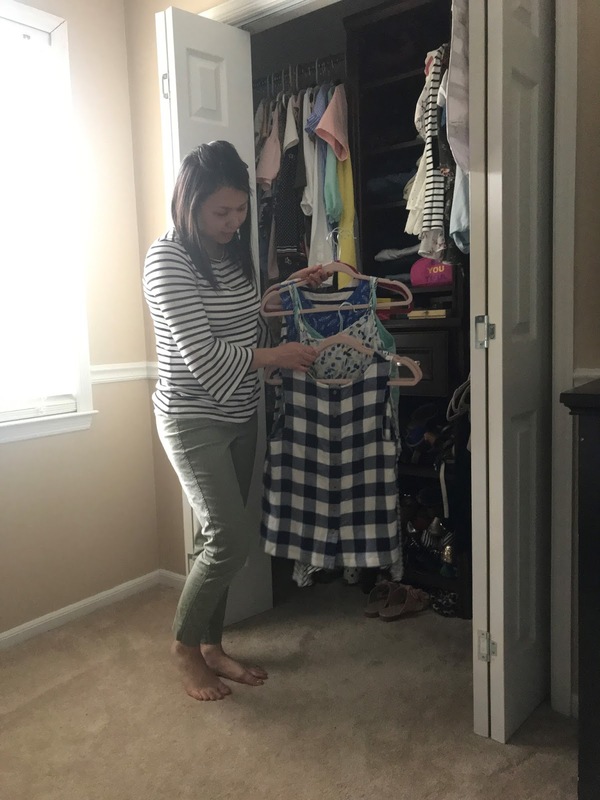 You buy so you can blog about it and it starts to fill your closet! 4. Hiring someone to help makes you more accountable. Working with Kate, we made a plan. We set a schedule for things and we had a planned date to get the job done. It's so easy to put the non-fun chores off for another day when it's just up to you. 5. Trying to organize yourself is like trying to cut your own hair. Some tasks are just best left for the professionals. This is their sole job. They are the experts when it comes to knowing where to start, how to best manage your time and accomplish the exact results you want. The 4 bin system! Okay, so I noticed I spelled Sell incorrectly... I had yard SALE on my mind, okay? The cutest little helper, Mia! Isn't Kate just the cutest!? 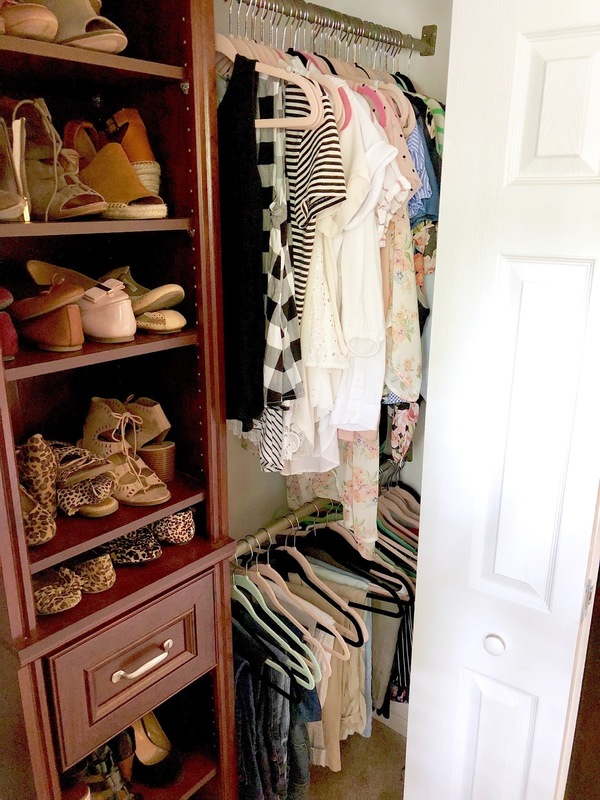 It only took two hours from start to finish to get my closet organized! AFTER: I'm so happy with the results! 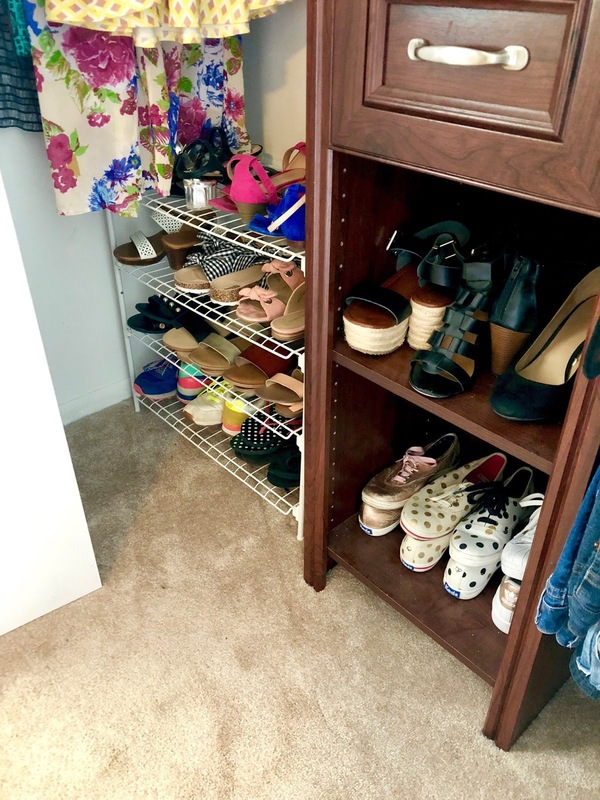 I love using the shelves for my shoes! I highly recommend anyone to work with Kate! She was so great to work with. Not only is she professional and sweet but she provided so many great tips and tricks about how to sort through my items and how to creatively use the space I had. Check her out if you've got that spring cleaning itch! Also, if you mention this blog post you'll receive her signature consultation ($100 value) for FREE! You can find out more about Orchid Organizing HERE. 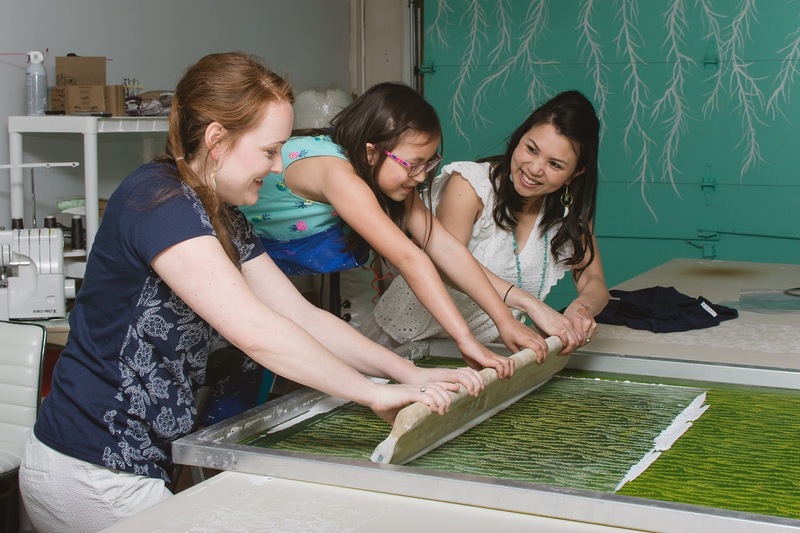 Last week, I was invited along with my older daughters to join Candace, owner of Moss & Marsh, in studio to screen-print some tees in anticipation for their big T-shirt launch next week on April 19th! Ava and Lily were so excited and I was too. I was excited to spend time with just them and also for use to learn something new together. The whole screen-printing process is so interesting and super fun! I loved the reactions the girls both had as we lifted the screen to reveal their shirts! I have always adored the coastal prints from Moss & Marsh. Their products are both beautiful and functional! They offer something for everyone, even if you have fur babies! Moss & Marsh is celebrating their 2 year anniversary and they are having a HUGE sale next Thursday-Sunday. The entire site will be 25% off! I am going to stock up on my favorite items, especially in their new limited edition colors! Over on my Instagram I'm hosting a Giveaway! Head over there for entry details! One lucky follower will win a T-shirt from Moss & Marsh's new product line and a necklace from Mud Happy River Jewels! If you comment on this post with your favorite Moss & Marsh print and Instagram account name it will count as 5 extra entries! Happy Hump Day, friends! I hope you're not tired of stripes! I've been wearing them out lately, including today's look! I probably have three or four different blue and white striped tops. They are classic and there are so many ways to style them. 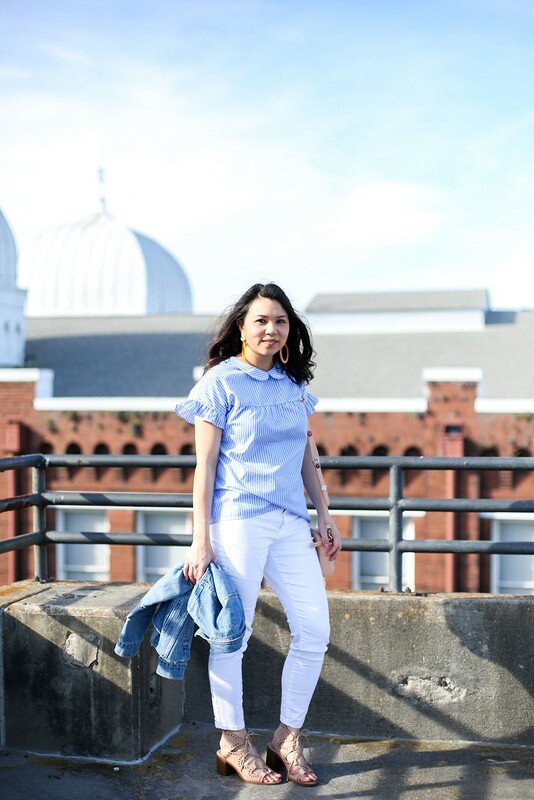 For today's look I paired them with white denim - another must have for spring and summer! 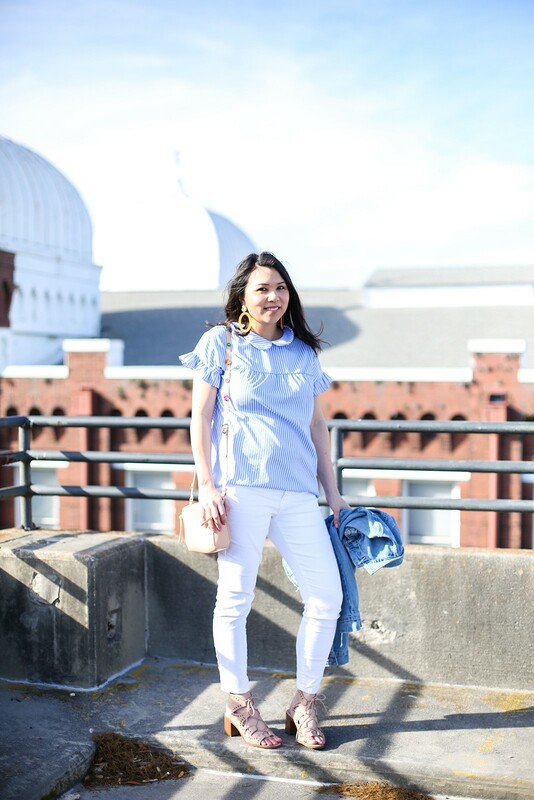 This top has the cutest tie detail in the back and I love the ruffles and peter pan collar. It's only $12 too! 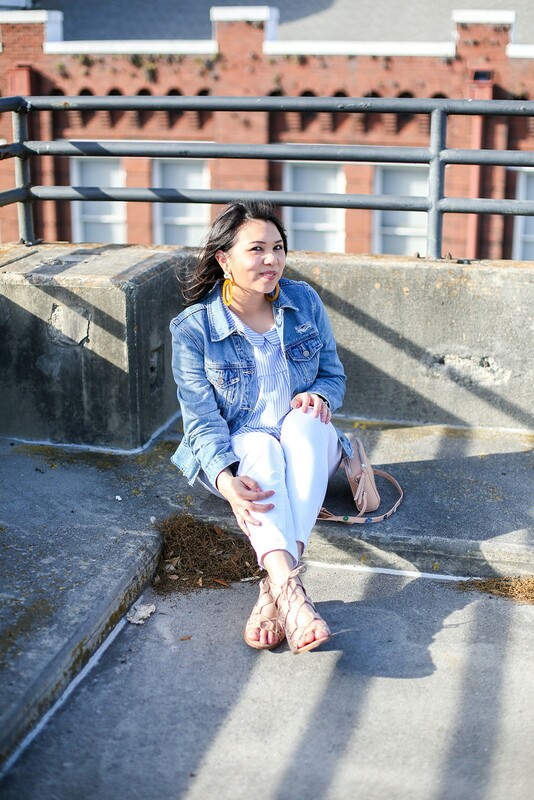 I gave this look a pop of color with these fun acrylic yellow earrings I snagged for less than $5! ** If you're looking for a photographer, check out Hilary! She does weddings, portraits, family and styling! Yesterday I shared stripes in a floral romper skirt. 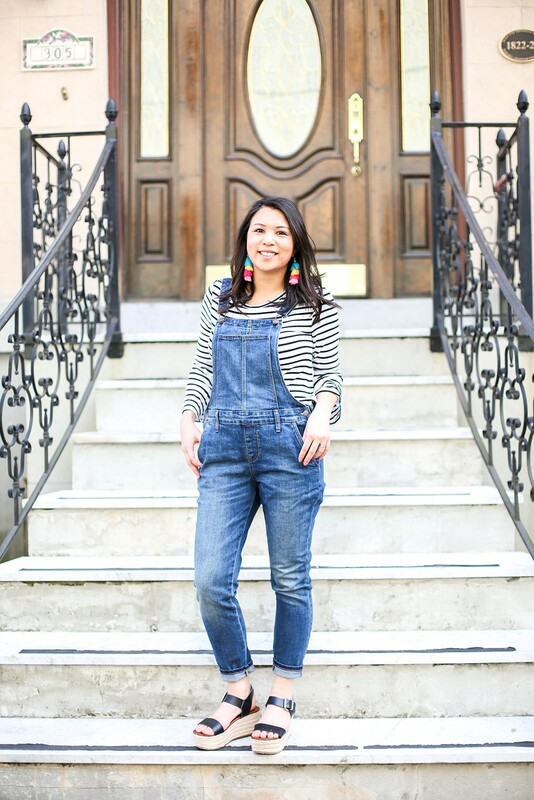 Today, I'm sharing how to wear stripes with overalls! I have to admit I didn't know how I felt about them at first, but the more and more I saw them styled on other ladies the more I wanted to try them! I ordered these overalls from Old Navy when they went on sale and I'm so happy with them! 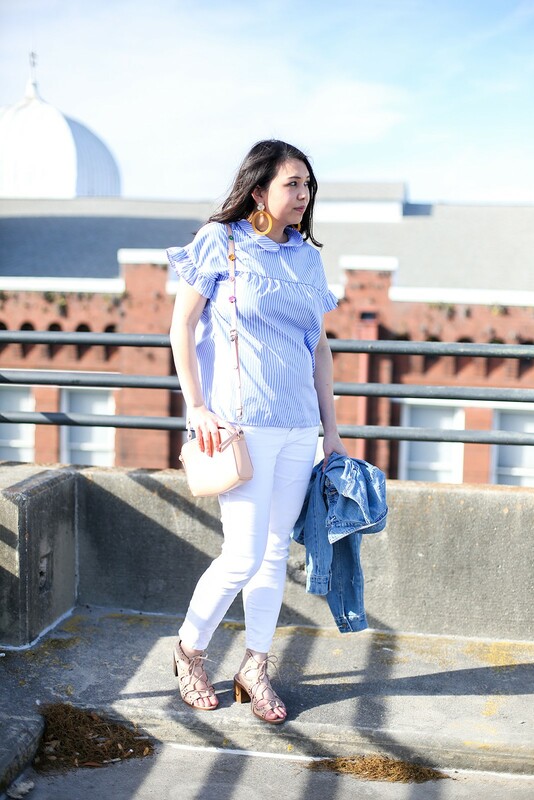 I think I liked them best with some height so I paired then with my favorite flat forms sandals, a classic striped tee (with flared sleeve detail) and some fun tassel earrings! 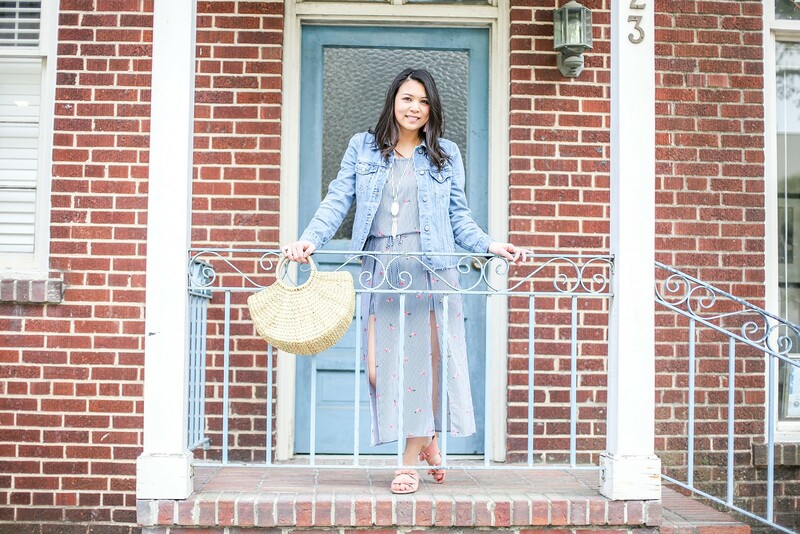 What is your favorite way to style overalls? Happy Monday, guys! Savannah cannot make its mind up with this spring weather. I have been keeping my light sweaters out because we've had some cooler temps creep in and out lately. But I guess I shouldn't be complaining because I have seen some of my friends still experiencing snow! 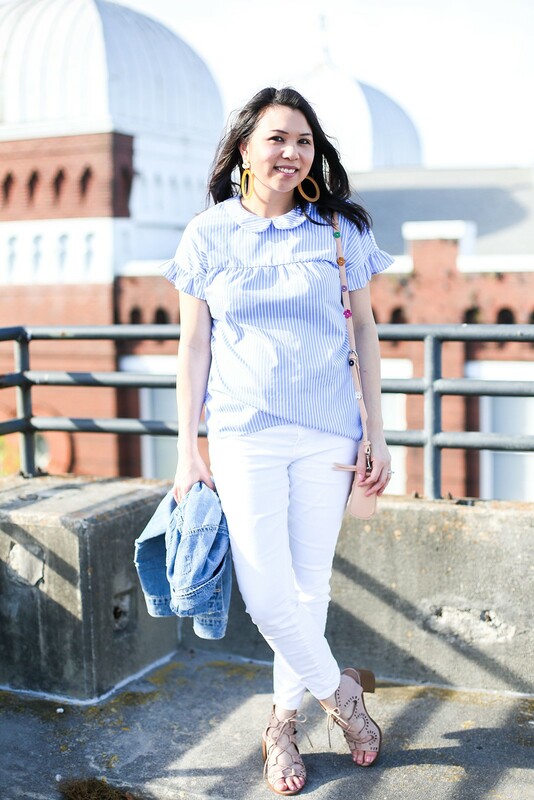 So, let's chat about one of my favorite spring trends: stripes! Over the next week I'll be sharing a few ways I like to style stripes. I went on a TJ Maxx run during one of my lunch breaks recently and came upon this flirty romper skirt! I love blue and white stripes and the floral print! This romper skirt is super fun for spring. 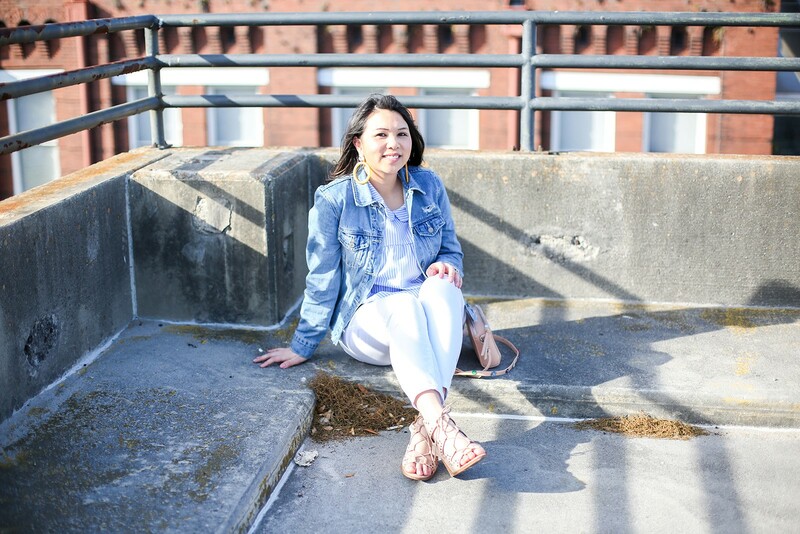 It is light and flirty and I've layered it with another spring favorite, a denim jacket. I recently bought this denim jacket in a lighter wash and I just know it will be a classic go-to. I've already worn it so much since I purchased it. A straw bag is another big item this season. I can't wait to pick up some cute scarves and tassels to give the bag some flavor! Let's also chat about these photos and the cute photographer behind the camera! I recently had the opportunity to meet and work with Hilary Hull. She was a joy to meet and I love her work. It didn't take much for her to capture exactly what I wanted! She listened to my vision for the shoot and she made me feel completely comfortable! Hilary does weddings, portraits, family and styling! If you're in or around Savannah definitely check her out!